You can get this game at the R.G.S. website ,The Master's Eye website or at itch.io , amazon.com or amazon.co.uk. Combination of open world and dungeon crawler missions. Extensive action set including: Talk, Get, Use, Bribe, Picklock and many, many more. Yes, it is finally there! Finally, the Early Access Release of The Master's Eye is a fact! Actually, the release was on April 7th, but there were some things that needed to be done, before the news is spread. But now it is time. One of the reasons that it took some time to get to this point was DirectX11 support. So after this was sorted out, the game logic was finalized, the existing (older) missions were polished and new missions added, and now there is a game that should give you a few hours of entertainment (at least if you are a fan of this genre). As this is an Early Access release, this game is not yet finished. There will be at least another 5 missions added in the near and further future. At least 5, but it can be more if the story needs it. This suggest that it is not complete clear how this game will progress, but that is not true. The storyline is very, very clear!! but it might be fun to add another mission or two to give the story more depth, more logic. Where can I get this Early Access? Together with the Early Access release, a new version of the playable demo was released: v2.0 v2.1. The biggest change is DirectX11 support, but also improvements on the overall ambience are made and off course, some bug fixes. The main philosophy behind the playable demo is the fact that there are numerous configurations, which can not all be tested, so you are able to test it before buying it. The demo still contains the first 2 missions of the game, but it should give you a nice idea about how The Master´s Eye looks and feels. Is it only about fighting and killing villains and monsters? No! Although the above videos might suggest that this is the case, The Master's Eye also has numerous puzzles to solve, varying from what key to use to unlock a certain door (or maybe lockpick it), or trying to obtain some crucial information by eavesdropping. The next video shows some sightseeing, nobody gets hurt. But when you play The Master's Eye, you must be aware that your behavior will have consequences. If you are rude or kill the wrong people, this will have a bad influence on your reputation, which in turn, might influence the interest you have to pay when getting a loan (yes, you can have loans) or how much a merchant will offer you for your goods. The next video shows how you can response will influence the behavior of other persons (and sometimes it is fun to be the bad guy). I thank you for taking the time to read this article and hope you like (and buy) The Master's Eye. It has cost a lot of blood, sweat and tears, but also brought much joy creating this game. 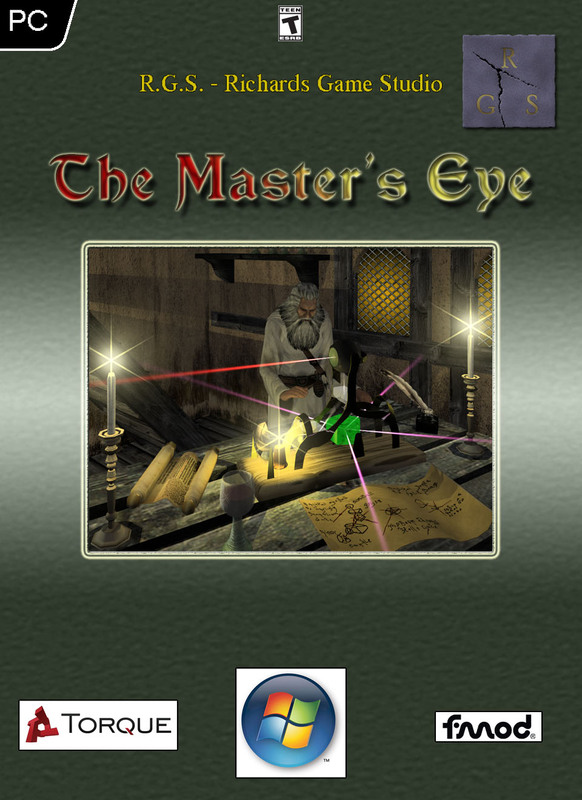 Today's release of the final version (v1.0) of the playable demo of The Master's Eye. Today's release of v0.2 of the playable demo! Today is the day. The release of v0.2 of the playable demo of The Master's Eye. Release of the playable demo of The Master's Eye! Finally, after a long way I am proud to present the playable demo of my epic fantasy RPG The Master's Eye. Final version of the playable demo of The Master's Eye. This is the final release (v1.0) of the playable demo of The Master's Eye. This is the new release (v0.2) of the playable demo of The Master's Eye. This is the playable demo of the PC game The Master's Eye.